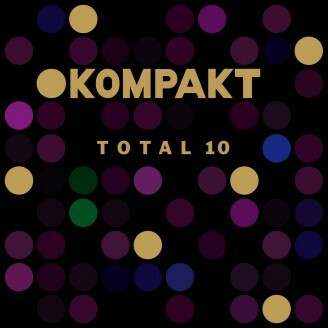 So it's time for 10…what a run it's been folks and we're set to celebrate with our jubilee rollout for 2009 - still standing and stronger that ever KOMPAKT returns with our annual tradition - the Cologne event this year set for the 14th of August and the collection. Spanning the course of 2 CD's and 3LP's, TOTAL 10 aims to be the collection of essential tunes from our catalogue and highlights exclusive, new music from the likes of DJ KOZE, THOMAS/MAYER, JUERGEN PAAPE, WASSERMANN aka WOLFGANG VOIGT and others. What one immediately will notice in comparison to other editions is the inclusion of remixes….the likes of IVAN SMAGGHE & TIM PARIS aka IT'S A FINE LINE tackling the likes of BURGER/VOIGT, GUI BORATTO's remix of SAM TAYLOR WOOD produced by PET SHOP BOYS, THOMAS FEHLMANN's stunning impression of THE FIELD and of course finally available, the lost remix of GOTYE's hit “Heart's A Mess” by SUPERMAYER. Expect the unexpected this year, TOTAL 10 promises to be one of the most diverse collections of tracks the label has ever brought forward in our history.